Gorgeously Flawed is your one stop destination for all things related to Makeup, Beauty, Fashion and Lifestyle. What’s the motive behind Gorgeously Flawed Blog? On this blog, we bring you the best and the latest buzz from the beauty town. 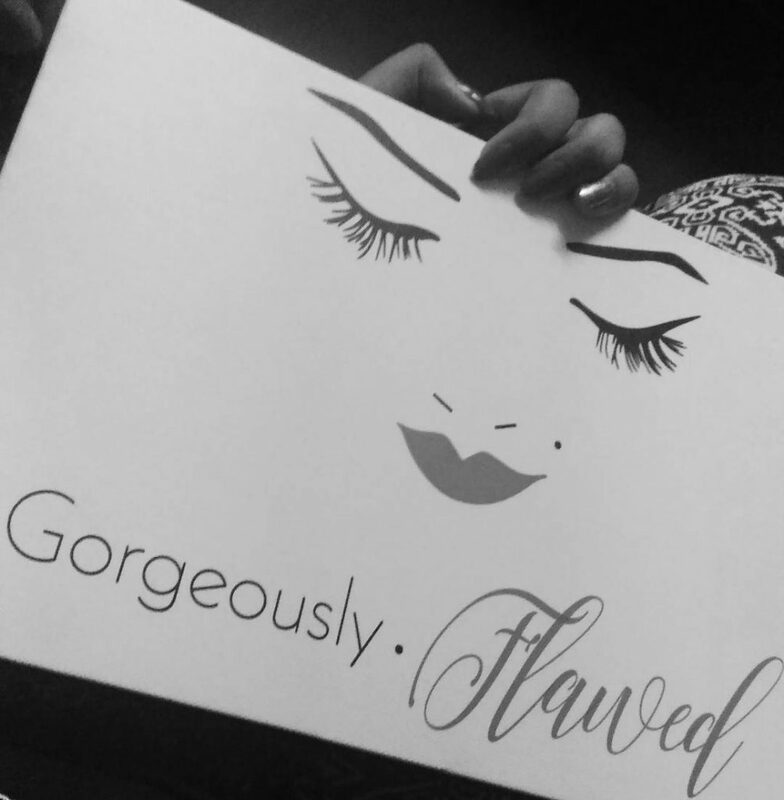 Find out about the latest makeup launches, read honest product reviews, skincare tips, DIYs, and much more – only on GorgeouslyFlawed.com. You can subscribe to the push notifications of our blog to stay updated with latest posts. I (the founder) believe that each and every one of us were created with flaws. Instead of picking out the flaws in ourselves and in others, we should embrace them. We all are gorgeous human beings, despite of our flaws! Hi readers! I am Dipti Tiwari – the face behind GorgeouslyFlawed.com. 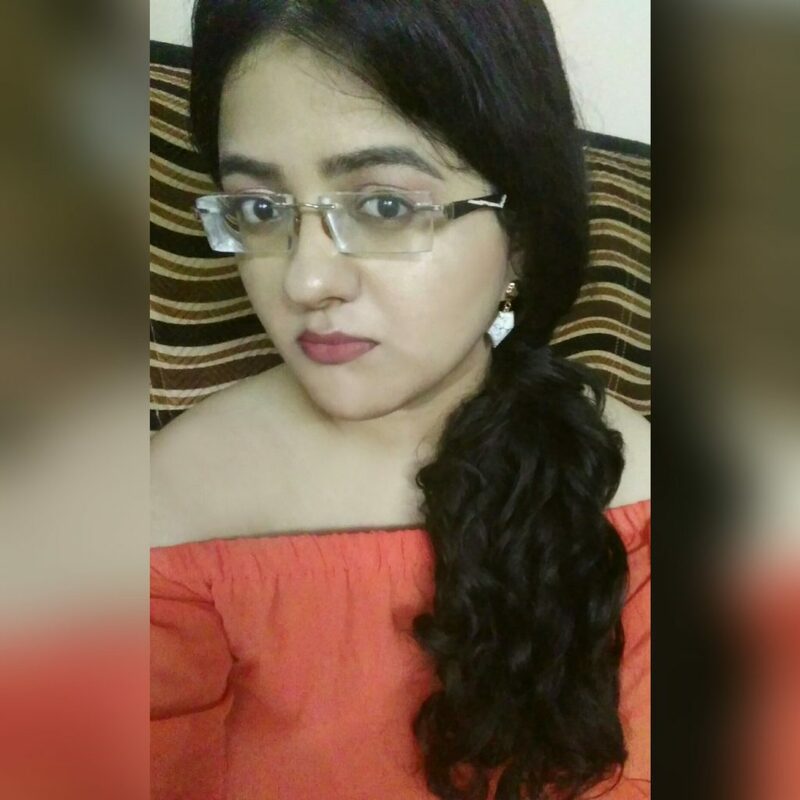 I am a young girl from India with a strong passion for blogging. I started blogging back in 2011 to share my love for makeup and beauty. Soon, it became my most favourite thing to do! My hobbies include blogging (of course! ), playing with makeup and listening to music. When I am not blogging, I can be found watching dog videos on YouTube, liking food pictures on Instagram and having casual fights with my mom for making cabbage for dinner. I love to learn something new every day and I try to spend most of my time in learning about blogging, makeup, science, politics and every other possible thing (but preferably, blogging – because it has my heart! ❤). In my journey of blogging, I met a lot of people who inspired and encouraged me to keep on blogging. I feel that whoever or whatever I am today is due to the unconditional love and support of my parents, my co-bloggers and my lovely readers! I love interacting with my readers, so if you have any queries about anything, you can contact me on dipti@gorgeouslyflawed.com. You can also connect with me on my LinkedIn profile or follow me on Instagram @iamdiptitiwari to get updates from me. 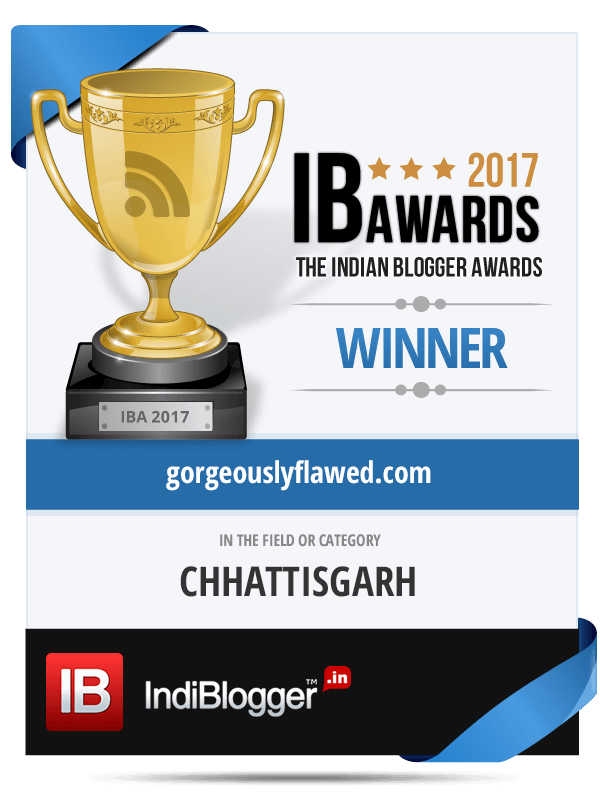 Gorgeously Flawed was announced as the winner of the prestigious Indian Blogger Awards 2017 – Regions | Chhattisgarh. The #IBA2017 was organized by IndiBlogger.in which is the largest blogging community in India for bloggers from different niches.